Next to Wallingford Academy of Dance and Music. Behind the First Congregational Church. 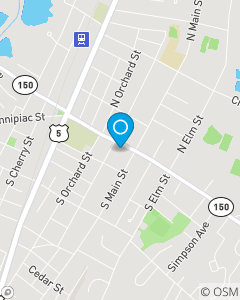 The Jon D. Racow State Farm Insurance office is proud to serve Wallingford and surrounding New Haven County with Insurance and Financial Services. Contact our office today for an Insurance review to see where we can help you with your Auto Insurance, Homeowners Insurance, Life Insurance and Financial Services. We are also able to assist small business owners with their Commercial lines of Insurance. We would love the opportunity to earn your business.